Monat is like the “doterra” of hair products. They “get it.” They understand that the only way a direct sales company has success is by the value created by their products. In other words, would anybody buy these if there wasn’t an “opportunity” involved? Well, I’ve studied the space for years and run two of the biggest network blogs in the world. If only they weren’t embroiled in a rash of heavy-hitting lawsuits. Keep reading to learn more. 1. What does Monat sell? 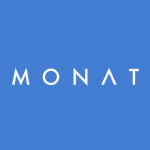 Monat focuses exclusively on hair care. Product lines include Hydration, Volume, Densify Duo, Stylized, Power Boost, Magnify, Monat Junior, Monat Black, Colour Enhance, Effortless Style, R3, Advanced Hydrating, and Restructuring. 2. What are Monat’s most popular products? The Smoothing Deep Conditioner works on all hair types to nourish, control frizz, and add brilliant shine. The Rejuveniqe Oil Intensive adds 13+ natural plant and essential oils, antioxidants, and nutrients to your scalp and hair for instantly healthier hair and shine. 3. How much does it cost to join Monat? You can join for $99 USD or $125 CAD, with an annual $19.95 renewal fee. 4. Is Monat a scam? No, they’re a legit business that’s been well-regarded in the industry. They’ve been awarded the 2018 Making a Difference Award and the 2017 Journey to Success Award by the DSA of Canada; the 2016 Gold Stevie Award, Silver Stevie Award, and Bronze Stevie Award from the American Business Awards; and the 2016 Silver Stevie Award and Bronze Stevie Award by the Stevie Awards for Women in Business. They’ve also been featured by NBC, ABC, and the Hallmark Channel. They’ve been an impressive company, but the sudden onslaught of lawsuits doesn’t look good. The truth is, if they weather them, they’ll be stronger than ever, much like Amway and other MLM big names. So should join them? Not necessarily. There are still better ways for ladies to make “side money” from home. Business opportunity-wise, there are much better out there. Monat does everything that most MLMs try to do but fail at miserably. They are classy and forward-thinking. Their products are naturally based and backed by tons of research. Their home parties are actually sort of fun. Monat was launched just a couple years ago in 2014 by Luis and Rayner Urdaneta. They’re headquartered in Miami, Florida. Monat stands for Modern Nature. 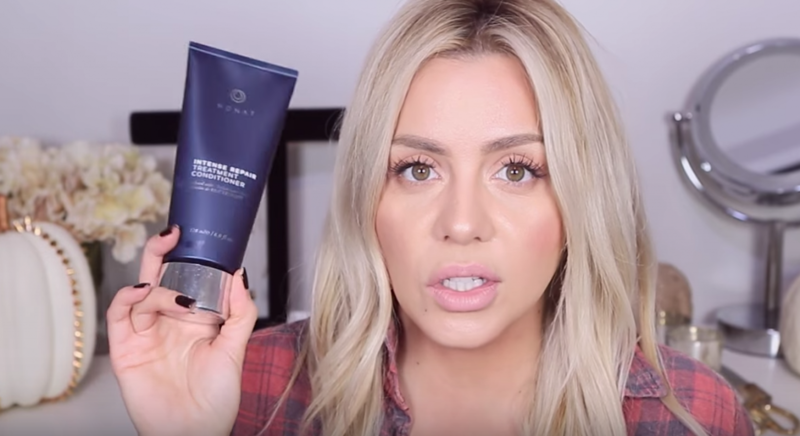 Within just one year of launch, Monat was already pushing $25 million in annual revenue. They hit the ground running fast, and it’s really no wonder. For starters, brother-son duo Luis and Rayner had already run one very successful direct sales company in the cosmetics niche: L’eudine. They’re a massive ($200+ million in annual revenue) MLM in Latin America that has recently started to expand into the United States. What’s more, Monat is a subsidiary of parent company Alcora, also founded by Luis. So they already had some massive capital and experience to work with when they finally started up Monat. By 2016, annual sales for Monat was already at $41 million. All this won them the 2016 Gold Stevie award for Startup of the Year. How much does Monat cost? Monat has a $99 start-up fee that includes a kit filled with marketing materials and training information. 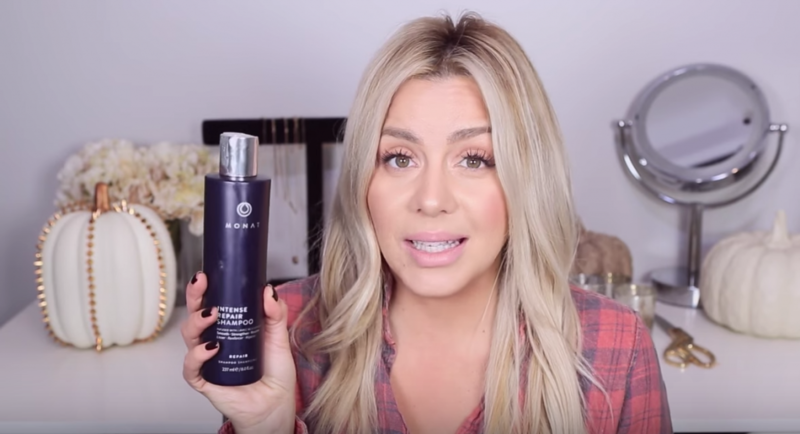 Monat sells naturally-based (vegan and cruelty-free) hair care products at a premium price, and it’s working well for them. Their products are scientifically tested and very popular among their loyal following. 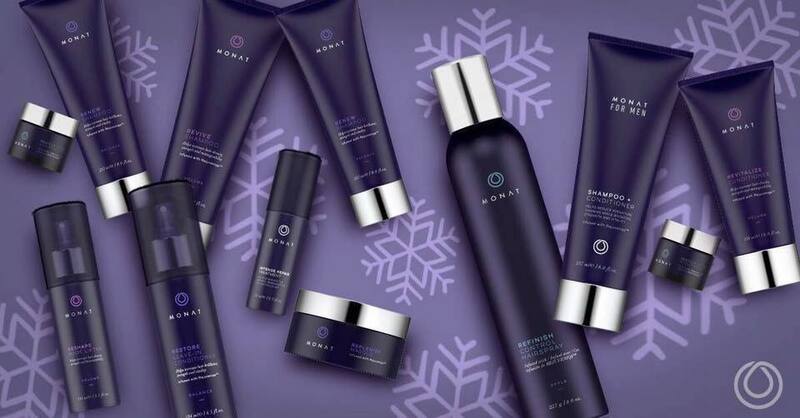 One of the reasons Monat has done so well is that they’ve formulated products that combat specific hair care issues that many people suffer from such as hair loss, aging, dandruff, and thinning/breakage. Some have reported an itchy scalp at the beginning, but this is part of the repair process. Something must have gone wrong in early 2018, though, because the sores didn’t go away, and some people experienced hair loss or hair damage. You’ve got products like Head & Shoulders for dandruff, but they’re full of parabens and harmful chemicals. Monat isn’t supposed to have those type of products, so the rash of lawsuits over their harmful ingredients is surprising. We’ll see how whether they can come out on top. In spite of the bad press, the concept of their hair products remains good. You’ve heard of anti-aging creams and foundations (see the top cosmetic and skincare MLMs), but have you heard of anti-aging hair care products? Probably not, because Monat is the first company to develop products that fight hair aging. Yes, hair ages. According to a study done by the University Hospital of Zurich’s Department of Dermatology and Hair Clinic, aging causes weathering of the hair shaft and aging of the hair follicle. Aside from graying, this also causes your body to decrease its hair production greatly over time, and it causes hair loss. The primary formula that Monat uses to combat these effects is their Rejuvinique oil, which can be found in most Monat products. It’s composed of a patented blend of 11 different oils that are designed to keep your hair follicles healthy and promote hair growth by restoring your hair’s essential oils and nutrients. Monat products are made from high-quality botanicals and essential oils, and they don’t contain sulfates, silicone, parabens, harsh fragrances, and other fillers. Unlike most hair products, Monat’s aren’t a short-term fix that will damage your hair with harmful chemicals in the long run. They aren’t cheap, at all. Don’t expect drugstore prices. However, if you compare them to high-end salon products, the pricing is about the same. Most products range from $30-$60. Their Magnify Treatment System, meant to increase volume, comes with a shampoo, conditioner, and mousse for $99. Of course, if you enroll as a distributor, you get pretty generous discounts on these products. Sales commissions range all the way up to 40%, which is very generous. It’s pretty much as high as it gets in MLM, with the exception of a select few that offer up to 50% commission. You do have to work pretty hard to reach that 40% commission rate though, as it requires you to sell a lot of product on a monthly basis. Sponsor & Develop is the bread and butter of this plan. This is where you get rewarded for building up a large, successful downline, and it’s where you’ll make most of your money if you do well with Monat. Aside from a $100 fast start bonus and a $150 fast builder bonus, you can also earn up to 12% in unilevel bonuses, 4% in generational bonuses (up to 5 levels deep), and a 5% network bonus. Builder Bonus is for folks who move up quickly to Silver or Platinum status and help their team members do the same. You can earn a $500 or a $1,000 bonus. Advancement Bonuses are matching bonuses that you can earn on the achievements of your direct recruits. They range from $150 to $500. VIP Customers Sales are customers that have signed up for the VIP program, which puts them on a recurring monthly autoship for their favorite products. You’ll earn a 15% commission on their monthly purchases without even lifting a finger. If they can weather the lawsuits they’ve been hit with, that is. They’ve got an innovative product, a pretty decent compensation plan, and solid leadership. Opportunity-wise: great, considering they’re a multi-level marketing company. I’ve been involved with network marketing for almost ten years so I know what to look for when you consider a new opportunity. I was looking to sell Monat. However, I came upon a FB page… My Monat Nightmare. It’s disturbing to say the least. I visited all of the positive review member pages and asked if there was anyone that has been using the product for more than two years (as it is a three year old $25mm company). I was told to lower my criteria. Or my post was not approved at all. here is what it said “”Hey hey MoMoMoMONATers. I’m in search of testimonials from VIP’s that have been using MONAT for more than two years. I’ve been a stylist for 15 years, therefore my clients trust my suggestions. I need to trust Monat. It’s important to see actual results stemming from prolonged use. Can anyone point me in the right direction please?!? MAybe you could find some proof that I havent found. I have been a partner with the company for 3 years this June and I can safely say it has changed the healthy of my hair! I have always colored my hair and bleached my hair for years with the result being fun colors but not the healthiest hair :/ I started with Monat and I can safely play with hair color and my hair has never looked and felt healthier in my life and that includes living in two very different climates using the products as well! Miami humidity and Midwest’s every changing seasons. While promoting the products I have only had 2 customers not 100% in love itch the whole line but they still use many of the styling products. Please feel free to reach out and we ca chat if you have further questions. I have been with Monat for just over a year, first as a customer and soon after a Market Partner. These products have changed my hair and my life, giving me the opportunity to leave a full time dental hygiene position to spend more time with my family. The results I witnessed for my clients beyond my wildest dreams for them. Thankful for a company that delivers and cares about it’s Buisness Partners and customers 110% always. What about the thousands of women having serious problems with the product? There are reports of breakage, extreme hair loss, itchy scalp and breakouts. There are also many claims of threats and bullying from some of these Market Partners. Something is not quite right. As a hairstylist of 20 plus years I would not want my name associated with this product and most professionals feel the same. I think most large brands will have a small percentage with side effects, yeah? Not side effects that aren’t being addressed, those who are being silenced with threats of lawsuits, or just plain ignored. Thousands of people have had major problems with this brand. A large, reputable brand will address those issues with a warning label, recall, or further testing. Monat will simply claim it’s just “Detox” and that you should continue to use the product past the money-back guarantee date. Shady company / shady products. Monet killed my hair. I only used it once and it was a NIGHTMARE! Yes, it hurt my scalp. Yes it broke my hair off. My son got in the shower right after me and used it. He needed a hair cut before his shower but not now! I see all these photos of beautiful results and I want to put those people in my shower with that shampoo and see what happens. I really wish I would have done some research before putting this on my hair. STUPID ME! I love the product..totally blown away at how well my hair feels I have been a licensed cosmetologist for 35 years and have had access to several varieties of styling products, some good some great but none have compared to this in my mind. I must remark however; if folks have reaction to this product, why do they continue to keep using it..: Penicillin serves many curing infections and has been used for decades.. however there have been deaths due to reactions to the medication… So do we take it off the market or sue the company NO.. people have to be sensible enough to stop using something if their skin reacts.. good heavens people.. Jeesh give this some thought.. I absolutely love the products my hairs the best it’s ever been. So glad I didn’t listen to the naysayers and try it. I’ve tried samples on the majority of their products and I was not too impressed. I have very course hair and the recommended amount didn’t even wash or cover half of the area. I was advised I need to use the specific products for my hair type for some lengthy period to notice the change. Went to a Party offering discounts on purchases. Won a prize and choose the Air Dry Cream. This specific product I liked. It made my hair feel smoother and appear healthier for a short period. Probably because I’m not living in a humid climate and it dehydrates my hair. Maybe they need to test their products in climates up in Northern Canada. This stuff made sores on my skin. Though I notified them within the 1st month, Monat refused to honor their 30 day “guarantee.” When I posted a review about my experience, they suggested I contact them so they could make it right. Their idea of correcting things was to try to sell me more of their products – still no refund. Monat is not honest, any way you look at them. Don’t waste your time, money or health with them.